After I started waffling on to my brother about single malts he gave the Balvenie 12 Year Old DoubleWood for my birthday. You chose a good one! Your brother is a man of rare taste. We like him. 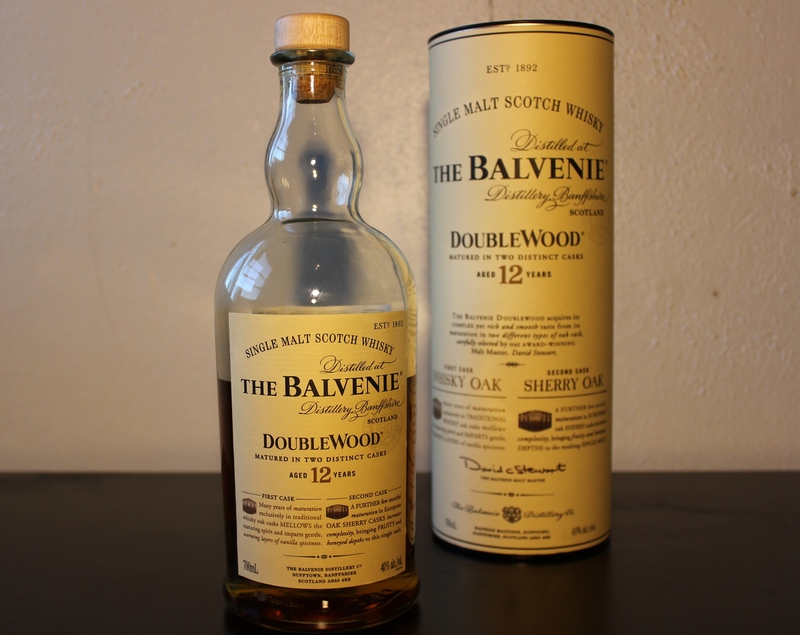 The Balvenie is an absolutely delicious whisky. Have you tried anything from the Ben Riach distillery? The 12 year old is a seriously good speyside and has made me want to try even more from this very well crafted bunch. We actually tried our first BenRiach just the other night – I bought my friend a miniature while in Scotland earlier this year and we finally decided to sample it. We were very impressed with what we tasted. I’d consider buying a bottle but it’s a harder one to track down in Australia, sadly. This is a must-have on the whisky shelf. I love it with a Cohiba Robusto cigar. Simply divine. We couldn’t agree more – and yet we still we had to borrow a bottle from a mate to do the review! To be fair, we bought it for him in the first place – and Ted owns the 17 YO DoubleWood and I have the Caribbean Cask so we do alright for Balvenie at the moment! I agree, very lovely whisky! My bottle is almost finished.. grr! How is it compared to the 17YO DoubleWood? I think I tasted that one, once and it was much sweeter of taste, correct? The 17 YO is amazing. One of the better drops I have tasted. And yet, it’s more of a special occasion whisky – whereas I’d drink the 12 YO any day of the week and not regret a thing!